Today wraps up the Taste Test blog tour. I hope you have enjoyed meeting each of these great authors. Remember, A Taste Test is FREE. You can download it here. Last, but certainly not least, on our tour is the amazing Melissa Pearl, who took over the editing, formating and lauching of A Taste Test. I appreciate her hard work SO very much! I hope you will click on over to each of the blogs to learn more about Melissa after reading the post here. 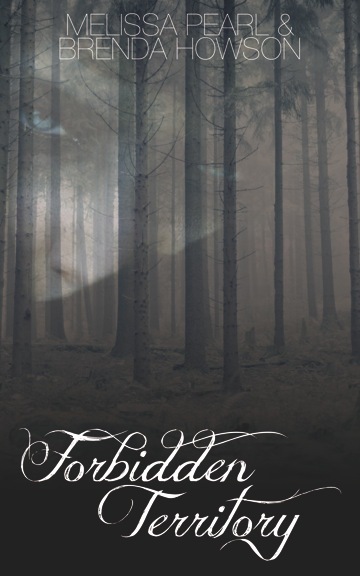 Melissa Pearl is the co-author of Forbidden Territory. 1. If you could have an psychic power, what would it be? 2. What is your favorite “mythical” creature? I know this is super old school, but I used to watch a movie when I was a kid called The Never Ending Story. There was a dragon in that called Falkor, who was SO cool. The main character rode on his back and they flew around together. It was so awesome. 4. If you could move anywhere in the world, where would you move and why? I’m actually moving to China in August. My husband has got a job over there so we are going to be shifting for a few years. I’m really nervous about it, but I know it will be a fun adventure and I’ll get to see some awesome stuff. Thank you to Melissa for posting here today, and for all her hard work in launching the sampler. I hope to receive a post card from China this fall! Last chance to sign up for our awesome giveaways! We have these great prizes up for grabs. The rafflecopter widget is at the bottom of the page. Scroll ALL THE WAY DOWN to enter. While you are there, enter to win a paperback copy of Painted Blind from Goodreads. The post was great, and I’m impressed by the marketing ideas of all The Taste Test authors. Way to think out of the box with innovative giveaways!